If you love the look of clean, sleek lines, airy open spaces and clutter-free surfaces, Contemporary style is for you. 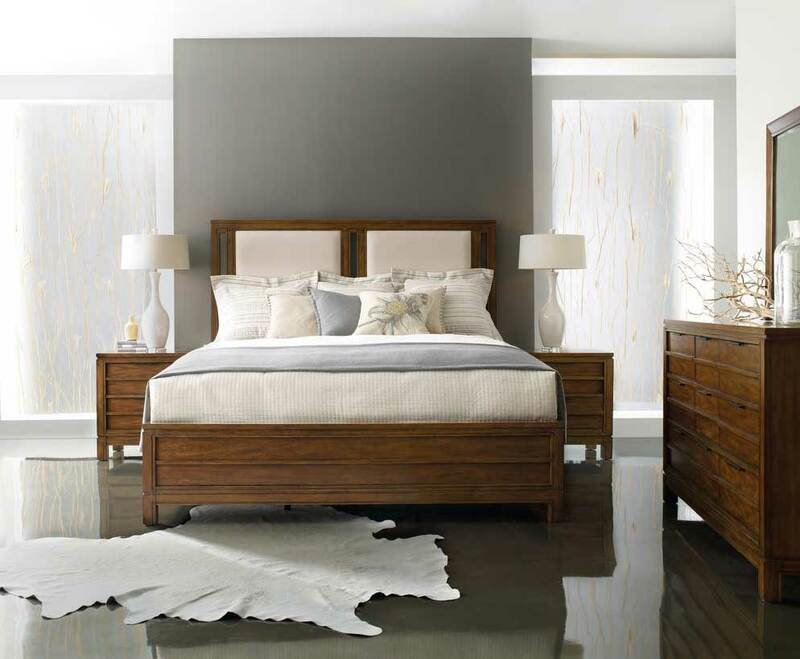 Its minimalist “less is more” approach emphasizes form and function to create an inviting, comfortable room. Here are a few of the style’s attributes to inspire your own Contemporary interior. Neutral palettes keep the look simplified and provide a backdrop for your bolder accent colors. Brighter, bolder splashes of color are generally reserved for use as accents. A vibrant sofa, throw, piece of artwork, or other accessory can make a visual impact. Contemporary-style interiors are spacious, bright rooms. You’ll find a lot of white used, particularly as the wall color. It reflects light and opens up the space – a useful effect to implement in a smaller home. Avoid mixing too many different colors in one room, otherwise it becomes too busy and undermines the orderliness you’re striving for. 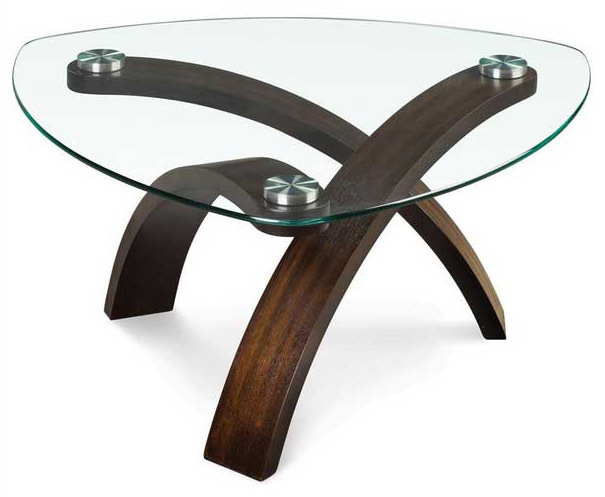 Contemporary furnishings showcase streamlined shapes and smooth surfaces. No ruffles, carvings, or floral prints found here! Design elements include exposed legs, slim profiles, linear shapes, light colored wood, and solid or subtle patterned fabrics. Furnishings often have a high-gloss shine, thanks to stainless steel, chrome, glass, plastic, tile, and polished wood. Natural materials and fibers balance out the sleekness with their textural appeal. Furniture upholstered in textured fabrics keeps the room from seeming too cold or spare. Organic materials such as stone and wood also provide some contrast to the industrial feel of metal and glass. Take advantage of natural light as much as you can by using minimal window treatments. Unobtrusive blinds or a sheer textured fabric will provide privacy and without spoiling the clean look. Contemporary light fixtures themselves have a sculptural quality, featuring sleek lines and metallic finishes. Light is often used to highlight an artistic focal point or structural feature of the room. Track lighting and recessed lighting draw attention to artwork and accessories. Chosen deliberately and used sparingly, a few pieces serve as focal points or are highlighted as pieces of art. Try a simple botanical arrangement in a tall vase, a large mirror, or metal sculpture. Choose a few large dramatic pieces positioned to draw the eye, rather than lots of small trinkets. Artwork hung on the walls is a good place to showcase your accent colors. Abstracts on stretched canvas or with simple frames, black-and-white photos, or wall sculptures become focal points in your own personal gallery. Contemporary style floors are usually wood, tile, or vinyl. Though typically left bare, a rug with a solid color or geometric design wouldn’t be out of place. No matter what kind of living space you have, Contemporary design can bring a modern quality to your interior – clean and livable, smooth and stylish.